← What Social Media Platform Is Best for You? When creating your brand strategy it is important to move away from those hard sales messages or marketing blurbs. Instead, you need to be focusing on telling your story. Small business and nonprofit websites and blogs should lean toward more storytelling. You should let readers in on the stories about not only yourself as the owner or manager but about your employees, clients, and customers. Consider revamping your brand strategy and tell your story. Focusing on seven key ways to share your brand’s story will make your brand personal to readers. People process information easier in narrative form with stories. Did you ever wonder why we are so fixated on watching television or going to the movies? By nature, we yearn for tension, drama, characters, tension, and an end resolution. It’s comparative to our own lives. We are all made up of short stories filled with humor, sadness, and discretion. We become vulnerable as we share our stories. Remember, when you are storytelling you are writing non-fiction and with the truth comes transparency. Don’t be afraid to share the downside to your business. The truth is not boring. Well, to some people it may be, but telling the truth can be an exciting part of any book or movie. Your story has the ability to move your blog readers. Incorporate a good story with a range of emotions into your brand strategy. Combining brand strategy and storytelling should offer some context. Each web page, photo, status update, blog post, and video gives a glimpse into the puzzle as a whole. How has your company changed throughout the years? Why did you start your business? How has your business model changed to meet changing needs of customers? Connect with your stories. People will always remember a good story. Keep this in mind when developing your brand strategy. Help your readers to identify with you, your employees and even the business itself. If you are a veteran, talk about it. If you are a minority, share a story of hardship and success. Don’t forget where you came from. The written word has helped people share their stories throughout history. A good brand strategy can incorporate storytelling so that we can always know the journey that got us where we are. Our stories keep us on track and continually focused on the objective and mission. It’s all a good marketing. Not only do our stories become a great brand strategy but a perfect form of marketing. That quick 30-second commercial is essentially telling a story. While a majority of us will turn the channel when a commercial comes on there are those rare times when a commercial looks appealing. YouTube, for example, is riddled with commercials that tend to go viral. Why? Because they are good stories. If you need help getting your brand strategy and marketing plan started, contact us. We can help you put together a narrative that best illustrates where you and your company have come from and where you are going. This entry was posted in branding strategies, Storytelling and tagged blog, brand, brand strategy, combining brand strategy and storytelling, marketing, marketing strategy, SJC, Susan J. Campbell Copywriting Solutions, YouTube. Bookmark the permalink. 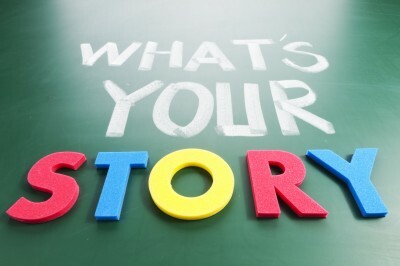 4 Responses to Does Your Brand Strategy Have a Good Story?